Next Generation Data (NGD) today announced its hyperscale data centre in South Wales is now connected to the Global Cloud Xchange (GCX) network. GCX is a subsidiary of India’s Reliance Communications and is said to own the world’s largest private undersea cable system which spans more than 68,000km. It offers VPLS-enabled Ethernet network capabilities, providing customers with a global service delivery platform. GCX’s network is also claimed to carry around a fifth of the world’s internet traffic. The connection of emerging markets such as India and South East Asia to established markets in Europe and North America is a key strategic focus for GCX. Its aim is to deliver ultra-high bandwidth services up to 100Gbps to support internet traffic, OTT content, and enterprise data and cloud computing services. 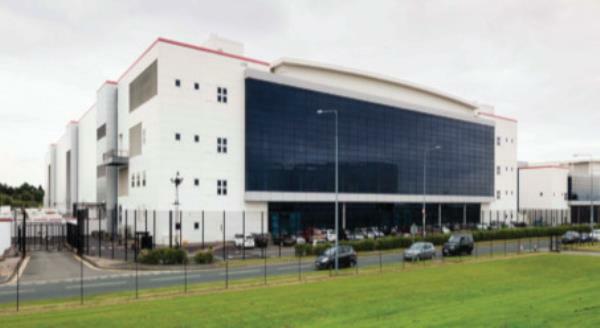 Located near Newport, NGD is a purpose-built carrier-neutral Tier 3 facility offering 750,000ft2 of technical space that can house up to 22,000 racks. It is also said to offer a high capacity 180MVA power supply sourced from 100 per cent renewable energy, as well as a variety of on-site high-speed, low latency carrier interconnects.